The general consensus amongst historians and allied academics is that these survivors would not have lasted for any considerable period of time. Reasons often quoted are hostile natives and the lack of survival skills amongst these Europeans considering the harsh and unknown environment in which they found themselves. Let us have a brief look at some of the evidence of European features amongst aboriginal groups as well as foreign influence on their housing, paths, wells and agriculture - as reported by explorers. The following are extracts from George Grey’s Expeditions in Western Australia in 1837, 1838,1839, Volumes 1 and 2. “A remarkable circumstance is the presence amongst them of a race, to appearance, totally different, and almost white, who seem to exercise no small influence over the rest. I am forced to believe that the distrust evinced towards strangers arose from these persons, as in both instances, when we were attacked, the hostile party was led by one of these light-coloured men.” George Grey, Expedition in Western Australia - Vol 1, North-Western Coast of New Holland. “.... travel round the valley; but before we could gain the head of it we had to cross two streams which ran into it on the eastern side. These however gave us but little trouble. 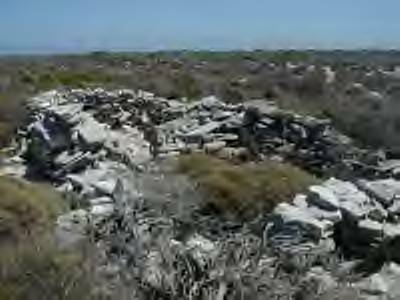 On the tongue of land between them we found a native hut which differed from any before seen, in having a sloping roof.” George Grey, Expedition in Western Australia - Vol 1, North-Western Coast of New Holland. “Being unable to ford the river (Hutt) here we followed it in a south-east direction for two miles, and in this distance passed two native villages, or, as the men termed them, towns, the huts of which they were composed differed from those in the southern districts in being much larger, more strongly built, and very nicely plastered over the outside with clay and clods of turf, so that although now uninhabited they were evidently intended for fixed places of residence. This again showed a marked difference between the habits of the natives of this part of Australia and the south-western portions of the continent; for these superior huts, well marked roads, deeply sunk wells, and extensive warran grounds, all spoke of a large and comparatively-speaking resident population, …..” George Grey, Expedition in Western Australia - Vol 2. Hutt River area. The dismissive nature of these comments go a long way to explain why no formal research has been carried out regarding survival scenarios including matters such as the location of VOC graves and the integration of survivors with the aboriginal society adjacent to shipwreck sites. But was there hostility at the arrival of these "white" men on their land or is that just another myth? When the first British arrived in Swan River in 1829 the Aboriginal people saw these strange white ghostly human forms. Initially they thought they were the spirits of the dead, that had returned from the offshore islands, and showed them great respect. It was only later actions of the British invaders that would soon dispel this logic as the traditional land was usurped for settlement. The French explorer Vasse was afforded traditional community support when abandoned in the South West of Australia in 1801. Similarly, 2 survivors of the ship Stefano that shipwrecked on a reef off the NW coast of Australia in 1875, were cared for by Aboriginals which led them to being rescued by another vessel some 5 months after the ship 's demise.. Hence, unless provoked, they had nothing to fear from the locals. It is likely that, as a survival strategy, senior members of survivor groups would have impressed upon their members that it would not be in their best interest to start any hostilities should an approach be made. As they had just been shipwrecked, they probably did not have the resources anyway. Hence both groups would have shown a healthy respect towards each other and approaches would have been executed with caution. Apart from the natives, matters such as shelter, food and water would also have preoccupied the survivors. A quick look around their patch of the shoreline would have revealed a land unlike any other they had ever seen. It was winter (all four ships were shipwrecked in the winter months) so water would have been in plentiful supply, at least for a while. But the often barren landscape with no recognisable flora and fauna presented them with a daunting outlook. However, these sailors were not quitters. They were hardened men (and some women) who came from tough environments in 17th century Europe and who already had survived some seven or eight months at sea in tough conditions. There are plenty of examples in VOC shipwreck history in Australia where great survivor skills, courage and determination were displayed by survivors. First, there were the survivors of the VOC ship Batavia that was shipwrecked on the Abrolhos Islands off the coast of Western Australia in June 1629. A harsher environment would be difficult to find. Not only did they survive the shipwrecking, but they also survived a killing spree conducted by Jeronimus Corneliszoon and his henchmen. Wiebbe Hayes and 20 fellow soldiers escaped the onslaught by moving to another island under the pretence of looking for water. They found it and a food supply and built themselves a fort for protection. They were constantly attacked by Corneliszoon's supporters but survived them as well. They survived on the Abrolhos islands for 5 months before being rescued. Read the Batavia story. Then there was Abraham Leeman, who not once but twice sailed, in a small open boat, from the site of the wreck of the Vergulde Draeck (Ledge Point) to Batavia. Having survived the shipwreck - on the night of the 28th of April 1656 - he and 6 others were sent to Batavia to get help. Their journey took 6 weeks. It was a most remarkable and impressive feat of seamanship and endurance! Less than two years later he was back in the region on the ship Waeckende Boei, looking for survivors of the Vergulde Draeck. He and his men were abandoned on the mainland after a storm. 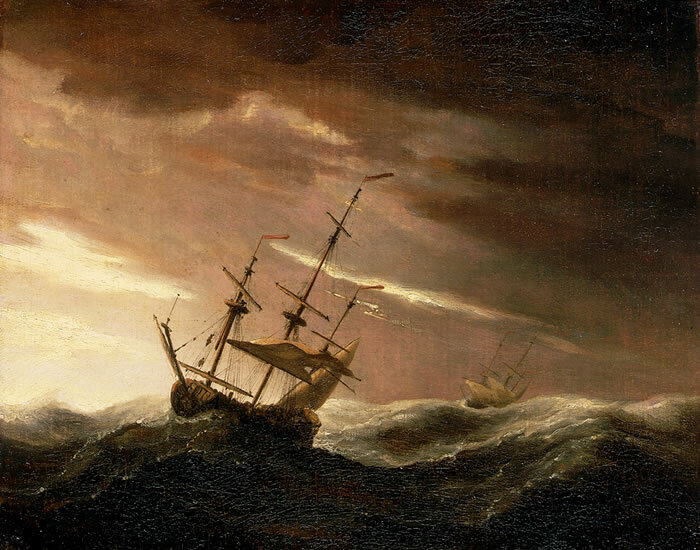 On the morning of the April 8, 1658 began one of the most heroic sea voyages of all time. In another remarkable feat of courage, seamanship and endurance, Leeman sailed a leaky craft with fourteen men on board, for 21 days along the barren Western Australian coast and across the Timor Sea to Java.Read the Vergulde Draeck story. Third, were the 88 survivors of the Zeewijck which also (like the Batavia some 100 years before) was shipwrecked on the Abrolhos islands on June 9, 1727. 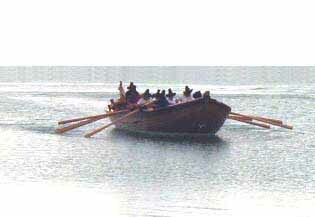 The Captain had also sent 12 men in a longboat to Batavia for help. They were never heard of again. At the end of October, left with very few options, they made the courageous decision to construct a small ship from the wreckage. They set to work and a smaller vessel which they called Sloepie was completed in a little over four months, an amazing achievement, considering the extraordinarily difficult circumstances. On 26 March 1728 Sloepje, with 88 survivors on board, set sail for Batavia. Although six died during the month long voyage, 82 survivors made it back to Batavia reaching it on 30 April 1728. They had been marooned for nine months! Read the Zeewijck story. The natural will as well as the capacity to survive was very much present in these sailors. Obviously many perished along the way. Large groups of survivors may have broken up into smaller groups for a variety of reasons. In fact, smaller groups may well have had a better chance of survival in terms of sharing food and water, as well as being 'adopted' by a native group. Evidence of survival and co-habitation. In addition to explorers, local residents also reported interesting findings. George Fletcher Moore in the Perth Gazette of 18 June 1836 pg. 714 wrote: "On this day we saw (near Mount Anne, 150 kms east of Perth) a native and his cardo(wife) a young woman of a very pleasing countenance, and something of European features and long wavy, almost flaxen-coloured hair." Some time in the latter 1840s two Aborigines from the north came to the New Norcia Mission. “They told me through one of the mission natives that near the coast, four days journey north of New Norcia there were other white men. After looking into this matter I came to the conclusion that these could well be the descendants of the mutineers Captain Pelsaert (Batavia) left behind..” Bishop Salvado, New Norcia. "And their ghosts may be heard." Rupert Gerritsen. “From Champion Bay we learn that a tribe of natives have made their appearance at the easternmost sheep stations upon the north Branch of the Upper Irwin, who differ substantially from the Aborigines previously known, in being finer complexioned, with long, light coloured hair flowing down their shoulders, fine robust figures and handsome features; their arms are spears ... which they throw underhanded”. Perth Gazette 9 August 1861. In 1865, Augustus Oldfield, a pastoralist from the lower Murchison claimed that: “I was much surprised to find in some of the old natives [at Champion Bay] features nearly approaching the European type, although these parts have been settled but a few years.” A Oldfield "The Aborigines of Australia", pg 218. “I also found traces (amongst the natives) of types distinctly Dutch. 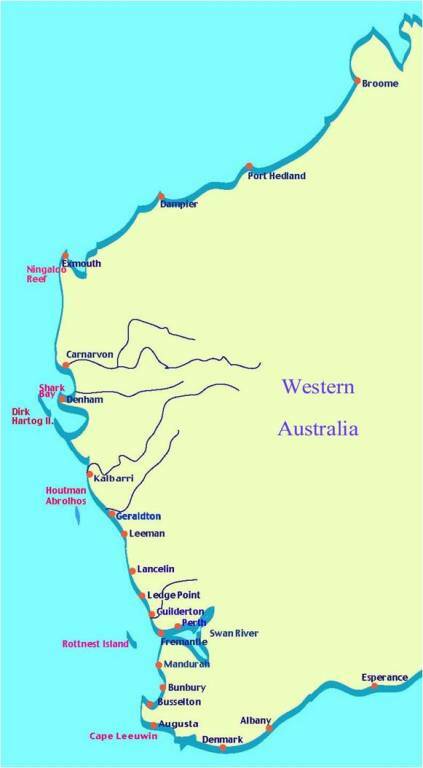 When Pelsart marooned two white criminals on the mainland of Australia in 1627, these Dutchmen had probably been allowed to live with the natives, and it may, be that they and their progeny journeyed far along the river-highways, for I found these types as far out as the head-waters of the Gascoyne and the Murchison. 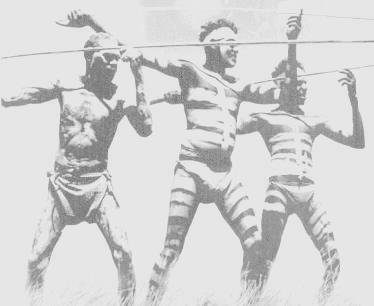 There was no mistaking the flat heavy Dutch face, curly fair hair, and heavy stocky build.” The Passing of the Aborigines - A Lifetime spent among the Natives of Australia (1938). This is but a very small sample of the sort of evidence that is available from the diaries and journals of the early explorers and residents in Western Australia. The descriptions of European features amongst aboriginal groups can only mean one thing and that is that co-habitation took place and that European DNA entered their gene pool in the days of VOC shipping. If the current DNA investigations, initiated by the Society, proves that it only proves the obvious. The "superior" huts, wells and native paths were obviously built with European assistance and not from itinerant visitors from ships sailing past or whalers and sealers dropping in from time to time for rest and recuperation. These were built for use by the builders (the castaways) who had no option but to improve their lot where possible. The adoption of European agricultural practices by the natives in the form of warren fields allowed them to adopt a more sedentary lifestyle like that these Europeans enjoyed at home. This evidence points absolutely to these New Holland castaways having been accepted into the indigenous community. This acceptance extended to intermarriage and the production of offspring. With or without DNA proof, there can be no doubt about the existence of ancestral links amongst today's coastal aboriginals in Western Australia reaching back to the castaways of VOC shipwreck days. 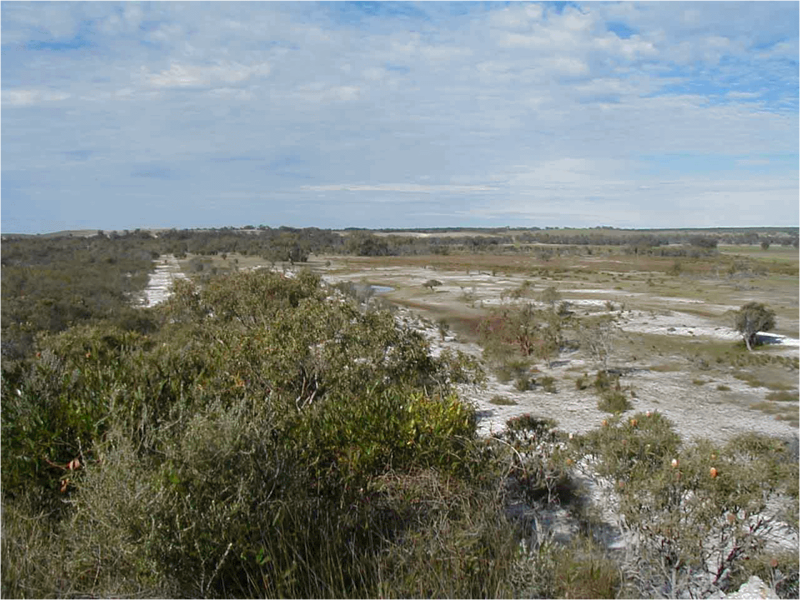 For a comprehensive State-wide view of VOC actvities on Western Australia's coast click here.